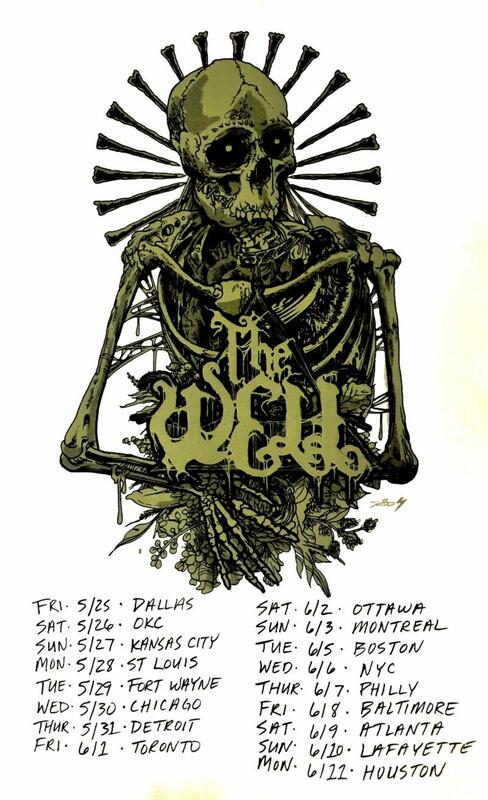 Austin trio The Well announce summer headlining North American tour dates today and premiere the official video for “Black Eyed Gods” today via Revolver Magazine. Watch & share “Black Eyed Gods” HERE. (Direct YouTube.) See dates below. The Well has been prominently featured on The Walking Dead star’s Ride with Norman Reedus TV show on AMC. Not only did the band compose and record the series’ original theme song, they also appeared on the show with Reedus, an avowed fan of the band and all things RidingEasy. Pagan Science was recorded with producer/engineer Chico Jones at Micro Mega Studio in 2016. Jones also previously engineered the band’s debut album Samsara with producer Mark Deutrom[Melvins, Sunn0)))] in 2013. Samsara, released late September 2014 was ranked the #1 debut album of 2014 by The Obelisk and widely praised in the press. Likewise, the band’s intense – some even say “possessed” – live performances have earned them featured slots at Austin’s Levitation Fest in 2015 & 2016, as well as tours with Kadavar, All Them Witches, Black Tusk and more.